Parkinson’s disease is a progressive neurological condition that affects the control of body movements. It is challenging for medical practitioners to diagnose accurately as there are no blood tests and the condition does not show in a brain scan. Muscle stiffness, also known as rigidity, is one of the first symptoms to emerge in the disease and is used to help diagnose Parkinson’s. Rigidity can also be used to track the progression of the disease and to guide treatments. To address this diagnostic gap, a team at Melbourne’s Bionics Institute have created the “BiRD”—the Bionics Institute Rigidity Device. The device is designed to be used by a general practitioner as a simple test which can accurately measure rigidity. The BiRD is worn on the palm of the hand and has a miniature motor that bends the patient’s middle finger repetitively for about 30 seconds. 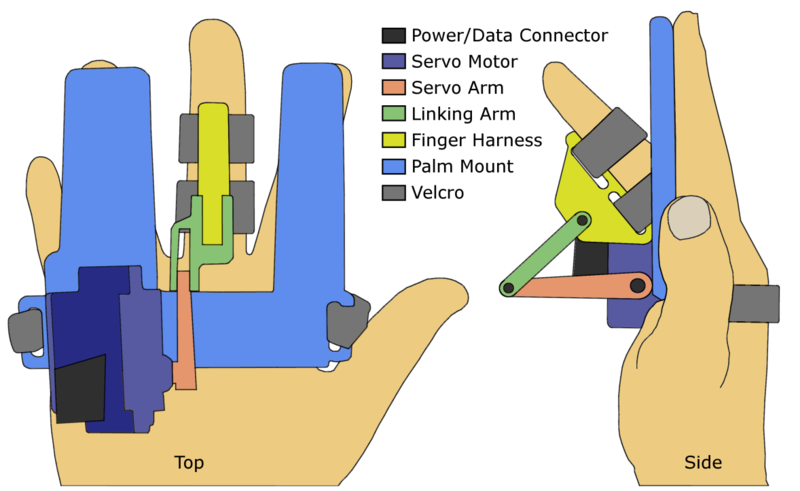 Sensors embedded in the device can detect the amount of effort required to move the finger and this is used to indicate muscle rigidity. The more rigid the patient’s muscles are, the more effort will be required to move the finger. The BiRD can identify a difference in rigidity between people with and without Parkinson’s disease which could save patients a significant amount of time in being diagnosed allowing earlier therapeutic intervention. Dr Thushara Perera, Research Fellow at the Bionics Institute and inventor of the BiRD, said the device not only offers a simple diagnosis in an otherwise complicated condition, but may also one day help monitor patients where they need it most—in their own homes.